Matt Mullenweg, founder of WordPress, announced that WordPress 5.0 will be released on December 6th, 2018. The WordPress community’s response was not entirely positive. The second test version of WordPress 5, release candidate 2, was released four days ago on Friday November 30, 2018. With only a weekend of testing for the latest release candidate (literally Friday through Sunday), Matt Mullenweg cited “stability” and “testing” as reasons to move forward with the official release of WordPress 5.0. The response from the WordPress community was not particularly enthusiastic. Accessibility refers how the usability of a product for users with disabilities. WordPress 5.0 is does not conform to usability standards out of the box. Disabled users need to download and install a plugin in order to make it usable. That’s a reference to having to download a plugin instead of having the function already built in. The announcement was unexpected because of so many outstanding issues needing to be resolved. 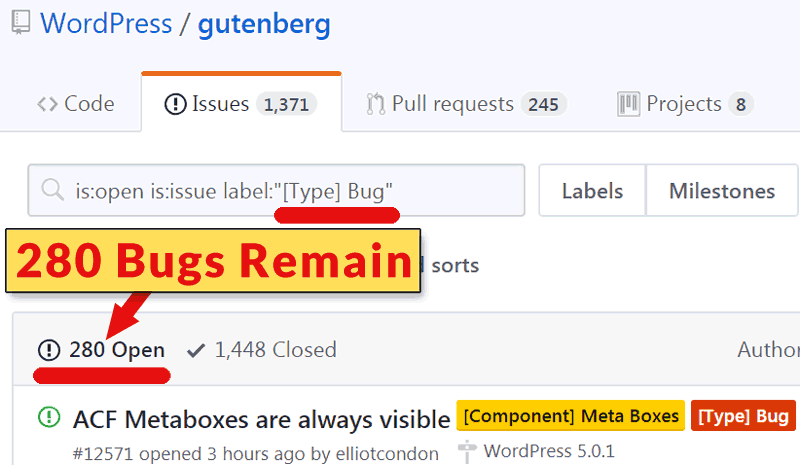 According to the most current WordPress documentation, there were 280 outstanding bugs to be fixed. There are 280 WordPress bugs that need to be resolved in the days between December 4th to the release date of December 6th. Is WordPress Release Timed for WordCamp? There are many good reasons to wait until 2019 to release the newest version of WordPress. Aside from the numerous bugs and issues, the holiday season is upon us. Releasing a major version of anything at this time close to the holidays could be awkward for publishers, developers and businesses. Some of the commenters on the official announcement speculated that the release date is timed more to coincide with Matt Mullenweg’s keynote at WordCamp (a WordPress conference) and less because WordPress is ready. The WordPress 5.0 release date is December 6th. WordCamp starts December 7th. 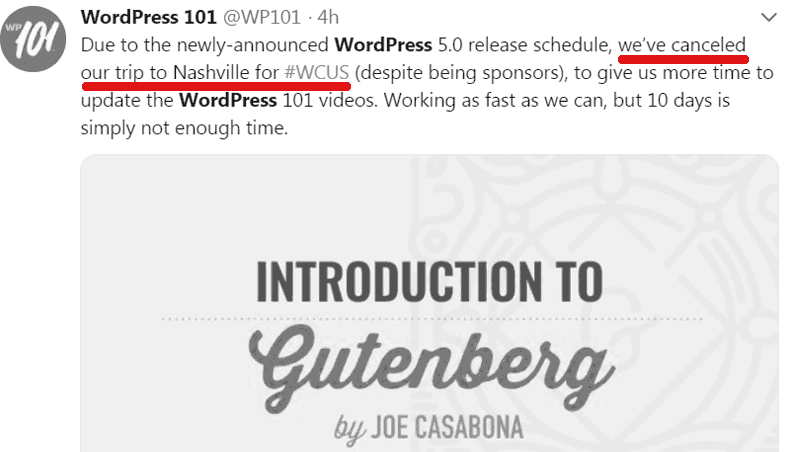 A WordCamp sponsor declared that they were cancelling their trip to WordCamp in order to update their WordPress 5 video tutorials. Another person tweeted that their bug report was closed without resolution. Should You Upgrade to WordPress Gutenberg? An auto mechanic once told me he avoided purchasing the first version of a new car model. He said they almost always developed unforeseen problems. It was his opinion that he didn’t see the benefit in paying for the privilege of being someone else’s guinea pig.